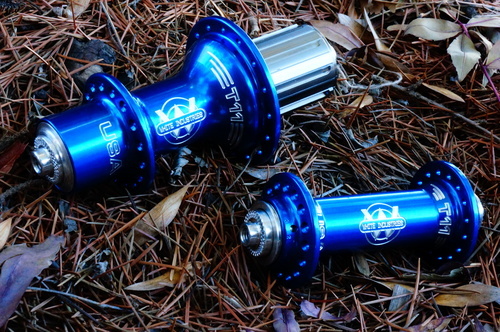 Our lightest weight hubset designed specifically for road bikes. 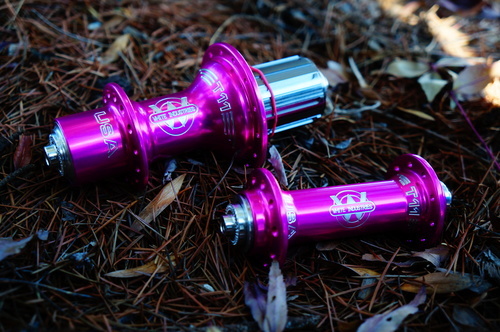 We engineered the T11 hubset to be light without sacrificing durability. In today’s market there is a demand for light weight components. We understand the market, and, yet, we also understand that quality of craftsmanship, design, and engineering are also vital in producing a product that will stand the test of time. When designing the rear hub shell we decided upon a high/low flange which allows for better spoke tension when dishing a wheel that is spaced to 130mm. The hub design maximizes aerodynamic efficiency – always a goal for road riders. 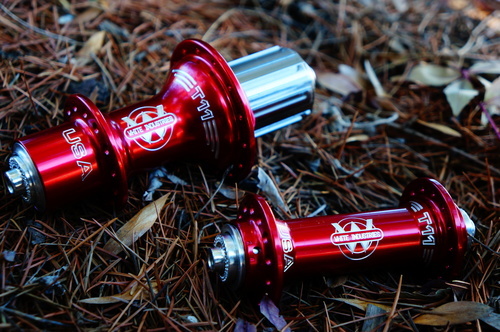 Unique to the T11 is our titanium freehub body in a choice of Shimano or Campy configurations. 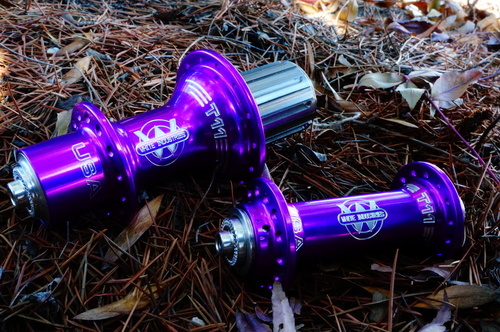 Titanium, we feel, is the best choice for the freewheel application since it is nearly as light as aluminum and has the equivalent strength to many forms of steel. 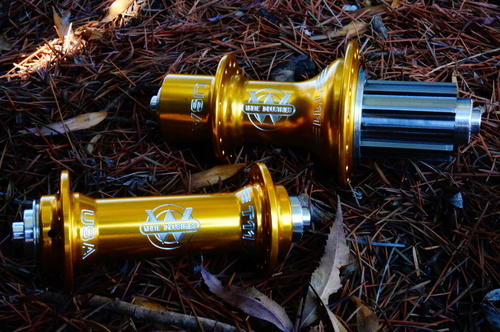 The rear hub is 11 speed compatible and, with provided spacer, can be run with 9 and10 speed systems.